Cairo - A campaign spokesman for Hosni Mubarak’s ex-prime minister said Tuesday that Ahmed Shafiq has won Egypt’s presidential election, countering the Muslim Brotherhood’s claims that its candidate was the winner and setting the stage for a divisive fight for the leadership. The rival claims carry the potential for a new chapter of unrest at a time when opposition already is growing against a “constitutional declaration” announced by the military on Sunday which robbed the next president of many powers and gave the generals who succeeded Mubarak last year legislative powers as well as control over the process of drafting a constitution. “Gen. 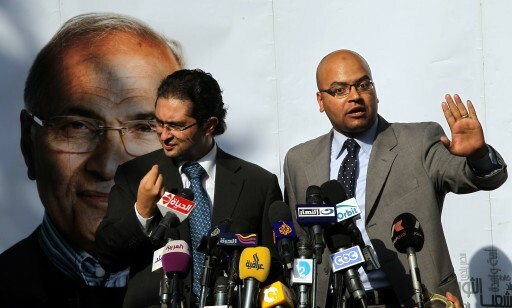 Ahmed Shafiq is the next president of Egypt,” said Sarhan. He said Shafiq won some 500,000 votes more than Morsi, of the fundamentalist Brotherhood. The official result of the two-day, weekend vote will be announced on Thursday. The Shafiq campaign’s claim came just hours after Morsi’s campaign repeated their claims of victory, saying Morsi had won 52% of the vote compared to 48% by Shafiq. The Brotherhood first announced Morsi’s victory early Monday, around six hours after polls closed from voting. It said its claim was based on returns announced by election officials from each counting center around the country. Each campaign has representatives at every center, who compile the individual returns. The Brotherhood’s compilation during the first round of voting last month proved generally accurate and, when it announced its victory early on in that race, it raised no objections. But this time, Shafiq’s campaign countered quickly, saying early Monday that its ongoing count showed their man ahead. Tuesday’s announcement was its first claim that it had won. The Brotherhood is already gearing up for a confrontation with the ruling military. It has called for mass demonstrations in Cairo and elsewhere on Tuesday to protest the interim constitution issued by the military as well as a court ruling last week that dissolved parliament, where the Brotherhood controlled nearly half the seats. The court ruling has been endorsed by the military, whose leader, Field Marshal Hussein Tantawi, issued a decree dissolving the legislature. The Brotherhood and its Islamist allies dismissed the decree on the ground that the military ruler had no right to issue it less than two weeks before the scheduled transfer of power to civilians. Already, several thousand protesters have gathered in Cairo’s Tahrir Square, birthplace of the uprising that toppled Mubarak 16 months ago. The crowd was expected to be in the tens of thousands by evening, when the summer heat is expected to ease.